Self-bunded Diesel Static storage tank specifically designed with small footprint with space being a premium in transport & civil construction depots. 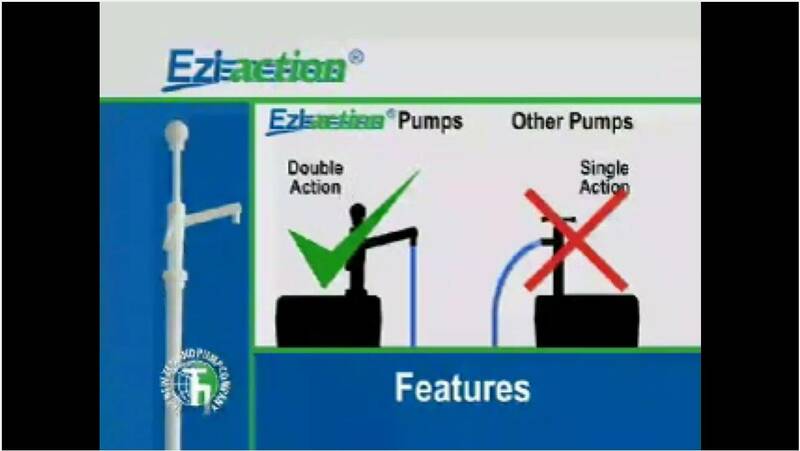 FB-PFSB economy option available without enclosed pump Bay. 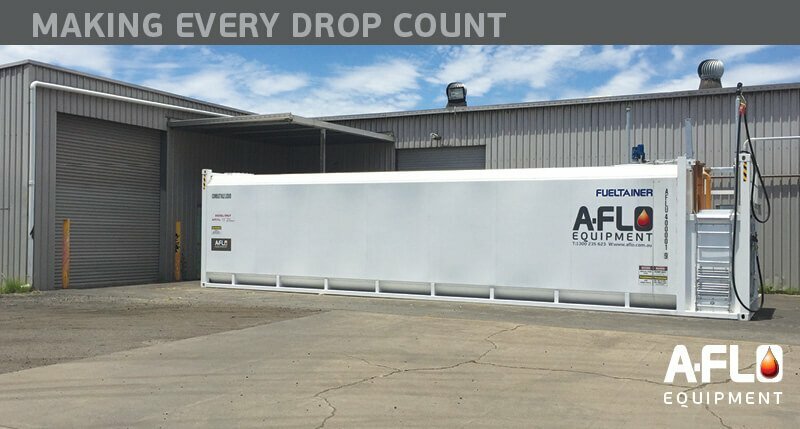 A-FLO’s heavy duty workshop bench tanks provide an excellent solution where space is critical and bench space is premium. 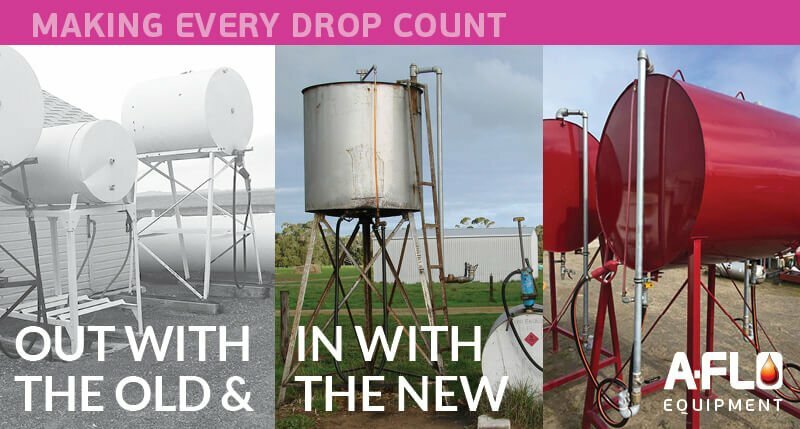 Whether it be for new or waste oil applications, these custom-built bench tanks offer versitality and efficiency in your workshop. Make your tank safe and compliant for drivers, operators & owners today! 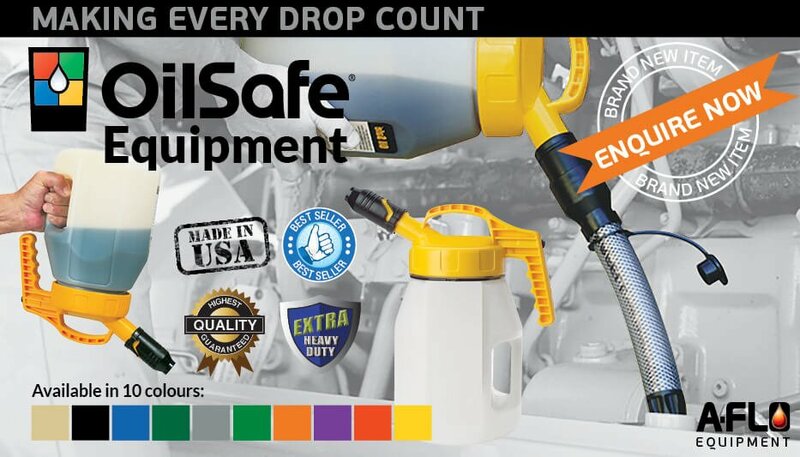 OH&S safety requirements are becoming more heavily enforced in today’s lubrication & refueling industry so get your overhead tank up to standard by fitting our Bottom Fill Kit. This allows operators to check the level of the tank and fill without risking an accident from occurring when getting up a ladder to check or fill their tank. If you already have a bottom fill kit then great, maybe you need a filtration kit to ensure you are fueling with only the cleanest fuel. If you would like to view how much you are dispensing, we have flow meters available off the shelf along with farm tank hose and manual nozzles. Call today to seek assistance from our team. The SmartFill GEN 2 is the world’s most advanced fuel management system. 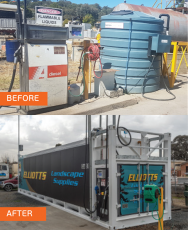 The AFLO team helped transform Elliotts landscaping supplies fuel tank system into a masterpiece refuelling system designed to ensure their fleet of tanks and contractors can fuel up and make every drop count. We supplied our Fueltainer FT68 65,000L safe fill diesel storage tank and retrofitted existing AdBlue storage tank into the one refuelling area on the tank and integrated his Data fuel management system to track usage of his drivers and contractors. Contact us today to arrange an obligation free site visit and recommendation on how we can assist in transforming your refuelling operation. The most common cause for oil leaks is the build up of line pressure in the oil distribution system. As you would be aware, oil expands when it gets warm, most oil line installations run around the ceiling of the workshop, generally against a tin roof, the ambient temperature in summer could be 50+ degrees. Unless the system is fitted with thermal relief valves there is no way for the expanded oil to escape, only through older fittings or seals. The fitting of a thermal relief valve at the pump will allow the oil to vent back to the oil tank, relieving any line pressure and reduce the problems of oil leaks. OH&S safety requirements are becoming more heavily enforced in today’s lubrication & refueling industry so get your overhead tank up to standard! To make it safe and compliant for drivers, operators and owners, checkout A-FLO’s Bottom Fill Kits. They are customised to your needs, allowing operators to check the level of the tank and fill without risking an accident from occurring when getting up a ladder to check or fill a tank. The new addition to our self bunded tanks have arrived! A-FLO is proud to bring you the latest in modular workplace benches & storage systems, made in Italy. Introducing the workshop of the future – The New Classic Line 2.0 is one of its kind! It completely changes all the functionality and aesthetical standards in the marketplace today, designed to suit your specific needs. 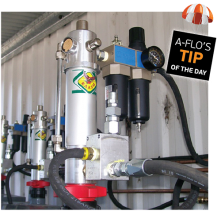 To learn more about A-FLO’s Workshop Bench Systems, view this video or contact us on enquiries@aflo.com.au or 1300 235 623. 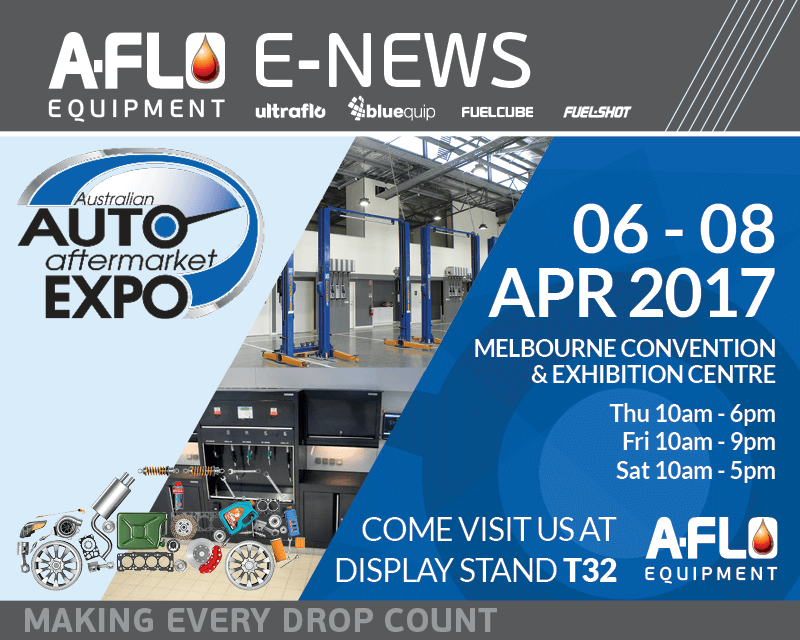 The Australian Auto Aftermarket Expo is the nation’s most comprehensive exhibition of vehicle repair, servicing equipment, replacement parts, tools and accessories. We would like to invite you as our guest to this year’s show in April to reveal the latest technologies, equipment and new trends that A-FLO has to offer to workshop management. Come visit us at stand T32! The New ULTRAFLO A-Coupler has just landed! No more frustration and pain whilst greasing your equipment. 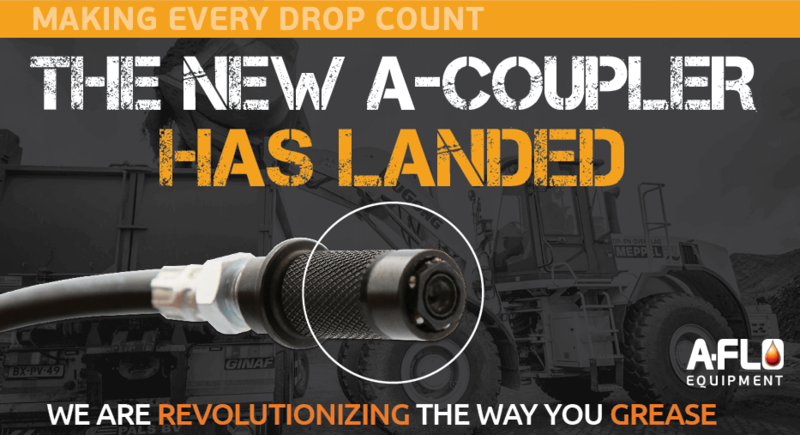 The new grease A-Coupler and Pressure Relief A-Valve will make greasing your equipment hassle free! Complete with two solar panels, two batteries with level indicator & built-in dispenser panel with hose mast. Enquire now if you’d like us to customise an AdBlue Storage Tank or suggest a dispensing solution that’s right for you! 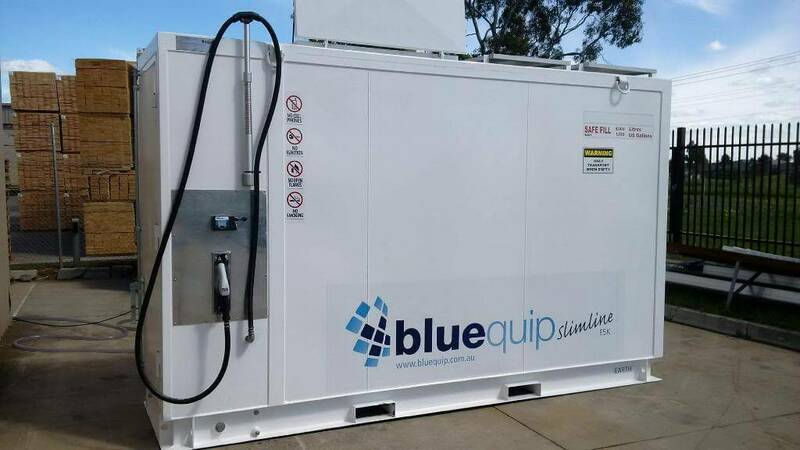 Our BLUEQUIP 5000L Self Bunded Bulk AdBlue® Storage Tank was supplied with our integrated dispenser (NMI approved for retail use). This installment also features our new HoseBun in our high mast to improve operator ease whilst using this system. In your workshop you rely on equipment that delivers every single working day. We have a network of Workshop Installers who will listen, discuss, compare and let you know what it takes to make your workshop successful. Getting things wrong is easy and it will cost you dearly in the long run as your overall productivity suffers. Why take that risk? Call today and speak with one of our specialists to guide you in the right direction. New Year – New possibilities! A-FLO Equipment are more than just a supplier, we’re here to help you and your business grow in 2016! Whether you’re a small, medium, large, well established or just starting out, we are here to show you how we are different! Our commitment is to YOU, understanding your business and needs. LUBESHOT – SD120 Disposable Automatic Grease Lubricators. Automatically delivering lubricants in the simplest, most efficient and most economical way. Available in 1 model & 3 different lubricants as standard. 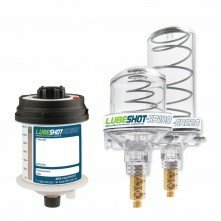 LUBESHOT – SR SERIES Refillable Automatic Grease Lubricators. This unit has an option for setting the grease dispense on high, medium or low which means you can use this for any grease viscosity & operating conditions without cleaning the spring. 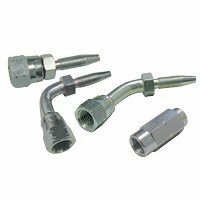 AUTO LUBE JIC Fittings – Our latest addition to our extensive range of Auto Lube System fittings. With massive stock holdings, the best pricing and fastest delivery, we will put you out in front of your competition. Also available in SS is the JIC Reusable Hose Stud – Straight and JIC Reusable Hose Stud – 90 Deg fitting. FIND A CHEAPER PRICE ON AN EQUIVALENT JIC FITTING AND WE’LL BET IT BY 10%! ULTRAFLO A-Coupler & A-Valve is revolutionizing the way you grease!